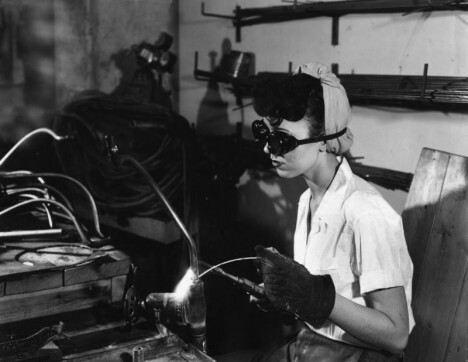 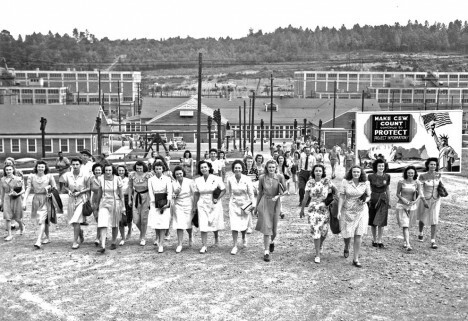 Thousands of people who lived and worked in Oak Ridge, Tennessee during the 1940s had no idea what they were actually doing every day, performing their tasks as directed without asking questions, surrounded by constant reminders that they needed to keep their traps shut or else. 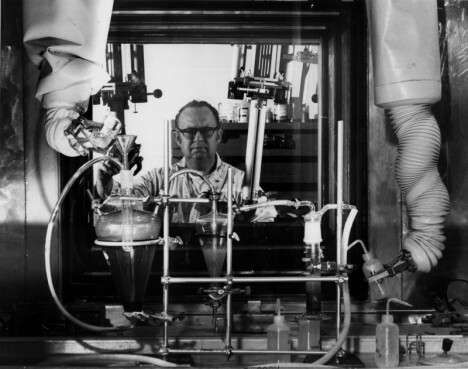 It wasn’t until the United States bombed Hiroshima in 1945 that they learned they were processing uranium as part of The Manhattan Project, many of them exposed to radiation for years. 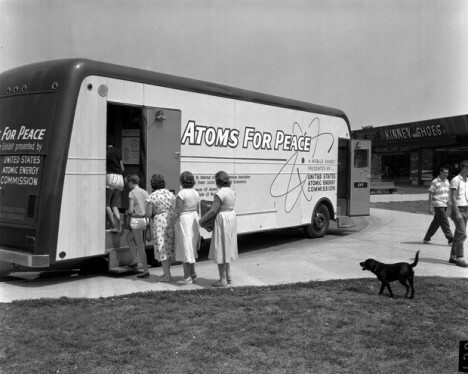 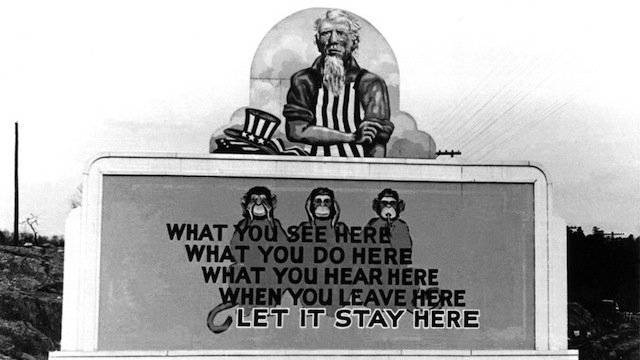 Nicknamed the Secret City, the Atomic City and the City Behind the Fence, Oak Ridge was developed by the government on 56,000 acres of former farmland and remains a center of nuclear research and development today. 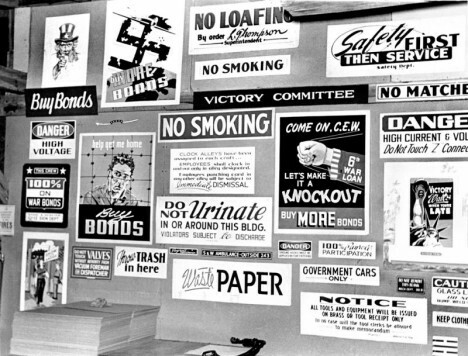 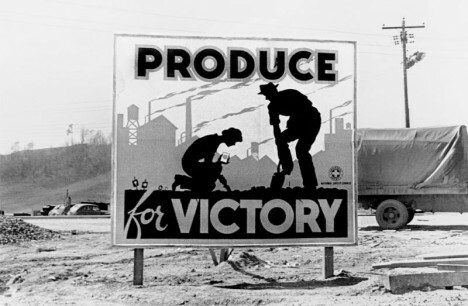 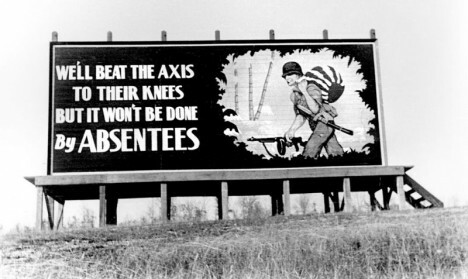 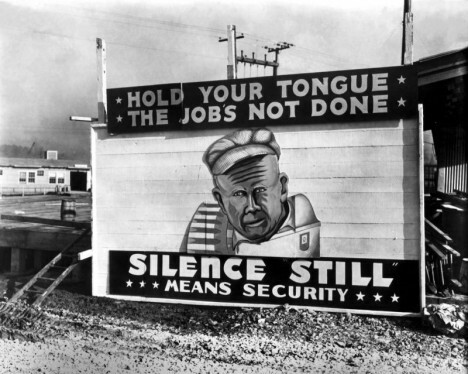 In photos from the World War II era, published by the U.S. Department of Energy and taken by Oak Ridge’s only authorized photographer Ed Westcott, we see the many signs reminding residents that their discretion was paramount, even if they didn’t exactly know what they were keeping secret. 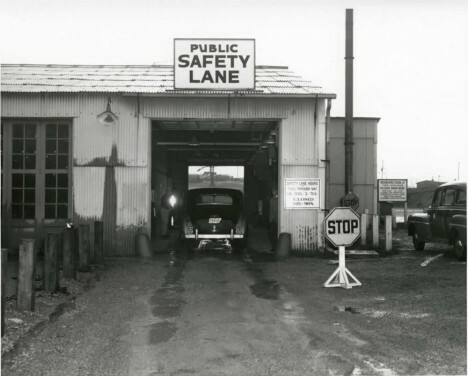 While part of the city was open to the public, all visitors were required to go through military checkpoints on their way in and out. 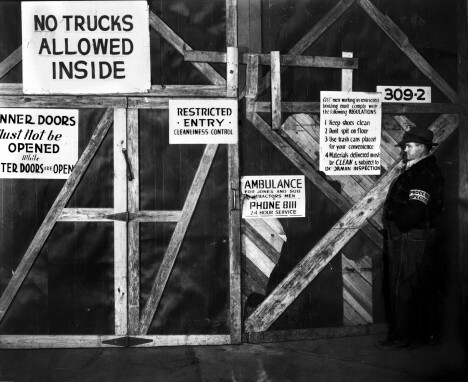 Other areas were strictly restricted. 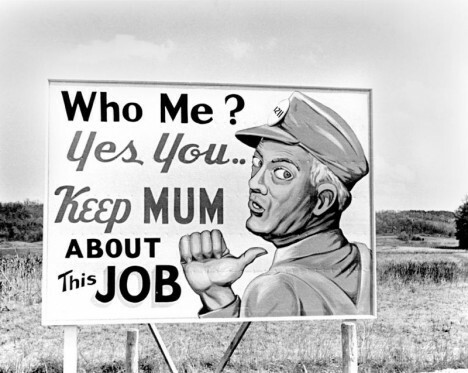 If anyone asked too many questions, they were out of a job and a home. 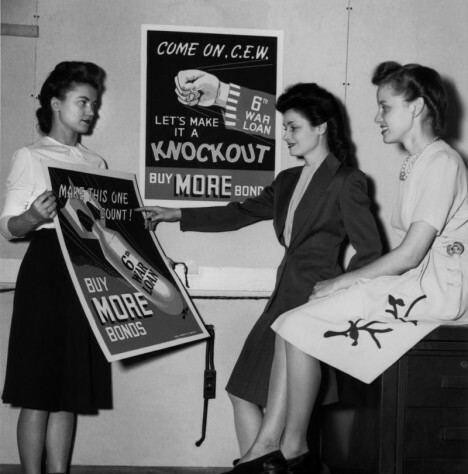 In the decades that have passed since then, some workers have spoken publicly about their experience, talking about the strange clicking instruments they had to wave over all sorts of objects, including uniforms. 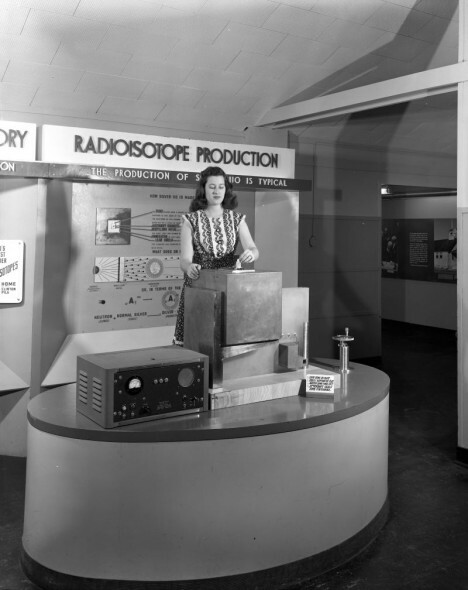 That instrument, of course, was checking for radiation. 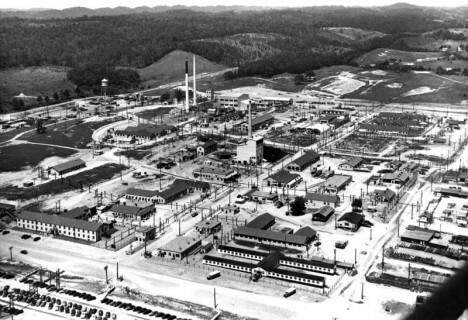 In addition to its many official facilities, Oak Ridge became home to ten schools, seven theaters, 17 restaurants and cafeterias, 13 supermarkets, 17 churches, a symphony orchestra and enough prefabricated modular homes for its 75,000 residents. 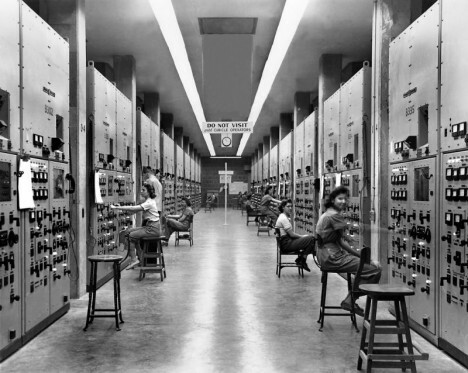 Two years after World War II ended, Oak Ridge transitioned to civilian control, but retains the Oak Ridge National Laboratory, where the supercomputer Titan was developed in 2012. 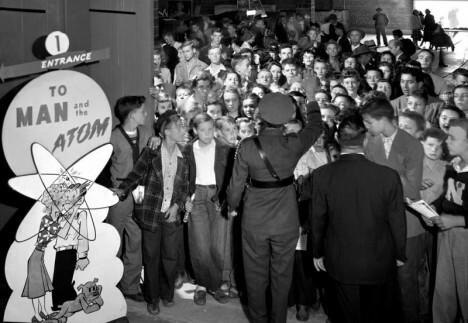 Tours of the original facility are offered, but there’s so much interest, you have to add your name to a waiting list if you want to get in.